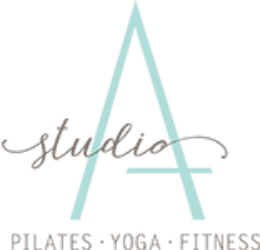 Andrea Jasper is the founder and inspiration behind Studio A Pilates and Yoga. She was born and raised in southern California, and has always been inspired by the beauty our surrounding landscape has to offer. If she is not working hard in the studio, you can find her adventuring out on the ocean, hiking local trails or digging in the dirt of her garden. While training for Triathlons, she turned to Pilates as a way to regain and maintain her flexibility. Curious about the method, Andrea ventured to learn more and was fortunate to study and become a STOTT Pilates Certified Level 2 Instructor in Mat, Reformer, Cadillac, Chair and Barrels. Soon after she welcomed Pilates into her life, she was gifted an encounter with the beautiful practice of yoga. Andrea felt the call to share this new awareness and is now a SmartFLOW certified instructor, always the student of Annie Carpenter and Tiffany Russo. Andrea’s most recent discovery, through eager curiosity about the human body, is the revolutionary MELT Method. She had the privilege to study directly under MELT creator, Sue Hitzmann, and is an authorized Level 1 MELT Instructor. Andrea is devoted to her practice and her craft and retains her certifications yearly. She is excited to travel to NYC to continue her study of The MELT Method for Pilates this April. STOTT Master Trainers John Garey and Marshall Eklund keep her game strong with Pilates coursework including Injuries and Special Populations, CORE, Halo Trainer, Zenga and Prenatal Pilates. Inspiration and expansion in yoga teacher trainings and workshops include work with Richard Rosen, Seane Corn, Leslie Kazadi, Desi Bartlett, Kino MacGregor, Jason Crandell and Maty Ezraty. Andrea is thankful for the opportunity to knowledgeably instruct her clients and fellow practitioners with positive, loving and peaceful energy. It is her deepest gratitude to facilitate Studio A, a space where students are reminded to live in the present moment, connect to their pure breath and exist in their true nature. Sandee has been actively involved in the fitness industry for 30 years. 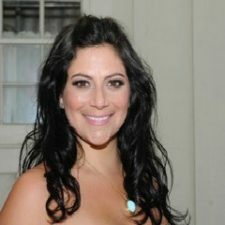 She was awarded “Best Female Trainer in the Valley” by Valley Magazine, and is an International published author of “Pilates Essential Training – For The Athlete.” In addition to her extensive background in Pilates and Yoga, Sandee has a BA in Psychology, with certifications in Sports Psychology and Industrial Psychology. Her training is filled with years of experience which encompasses the body, mind, and spirit. You will experience a class filled with energy, joyfulness, as well as impeccable alignment, posture, and strength. Sandee is nationally certified by Pilates Method Alliance, Yogafit, Egoscue University, and CalSouthern University. 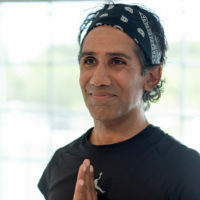 Drake’s love for yoga has shaped his journey through a wide range of styles and modalities, and he is continually inspired by his experience in meditation, dance, Qi-Gong, Tai-Chi, alignment practices, calisthenics, gymnastics, hand balancing. 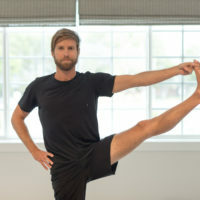 He has been teaching yoga full-time since 2012, and has completed over 250 hours of teacher training earning certifications by CorePower Yoga and in Restorative Yoga. Drake has refined his art with mentor, instructor, and best-selling author Michelle Marchildon. 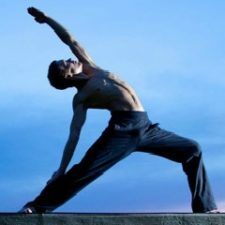 Drake’s objective is whole-being integration, and his classes are a product of rich intention, refined body awareness, and deliberate dedication to breathing. In his class you will experience the physical asana cultivated in a practice of trust, transparency, humility, and compassion. The result is an unraveling of synthetic identities and the opportunity to embrace the complexity and simplicity of “being”. Breathe, flow, and dance your way into this reality with electrifying beats and mindfully crafted sequences. Beatrice grew up in Southern California, and danced locally in Orange County where she was first introduced to Pilates as a form of cross-training and a way to maintain health and fitness. After dancing ballet pre-professionally at University of North Carolina School of the Arts, Beatrice returned to California seeking out Pilates and kinesiology to better understand injury prevention and body mechanics. 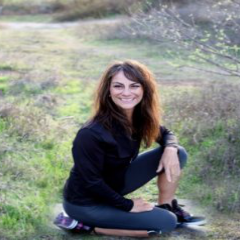 She earned her Bachelor of Science in Kinesiology from Cal State Fullerton, specializing in both Clinical Exercise and Fitness & Health Promotion. During this time, Beatrice began teaching under the tutelage of her Pilates mentor, STOTT Instructor Trainer and Pilates Suspension Method creator, Rebecca Beckler. Beatrice is STOTT certified in Level 1 & 2 (essential through advanced) Mat and Reformer. She is also a qualified TRX instructor, with experience teaching the Pilates Suspension Method, Barre, circuit training, TRX, Redcord, and Jungle Sports repertoire on most suspension and Pilates equipment. With a Master’s of Fine Arts in Dance from University of California, Irvine under her belt Beatrice has presented her dance science research at national and international conferences, and taught at a number of California colleges and universities. Beatrice continues to add her Dance, Pilates, and Fitness knowledge bank by attending workshops, conventions and conferences, to keep classes fresh and fun for her clients, all while promoting health and wellness. Tiffany Martin is a long time student of Yoga, crediting yoga for being the yin to the yang-like energy of her upbringing. She completed her 200-hour yoga teacher certification from White Lotus Foundation and her 300-hour yoga teacher training in SmartFLOW with Annie Carpenter and Tiffany Russo. 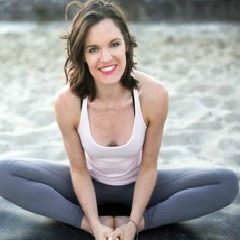 Tiffany is also a certified Yamuna® Body Rolling teacher and has studied with many well-known yogis including Leslie Howard, whom Tiffany is working with to complete her Pelvic Floor Yoga teacher certification. Tiffany’s classes are designed to help students achieve the highest level of physical, mental and spiritual wellbeing. With a strong focus on anatomy, alignment and breath, her classes are playful and challenging with modifications for any level respecting the mat as a sacred and safe space to honor and cherish your own body. Yoga has been a part of Paulette’s daily life and inspiration since 1999. In 2002, she received yoga training from teachers Anne Phyfe Palmer and Melina Meza at 8 Limbs Yoga Studio in Seattle in 2002, becoming 200hr Yoga Alliance E-RYT Certified. She has continued to study with some of the top yoga teachers in the world, with various training in Hatha- Vinyasa, Yin, Restorative, Prenatal and most recently has completed 100 hours of SmartFLOW teacher training and is certified Reiki Level 1. Paulette believes that with yoga, it doesn’t matter how far one can stretch or what level one gets to as a student. Her philosophy is this: as long as you can breathe, you can do yoga. She holds true that if you’re aligned properly and can still smile, you’ll be able to tap into your body-mind wisdom and reach even greater strength and flexibility. It is her hope and aspiration to share the experiences and benefits of her own living yoga practice with others. Strong, playful, and mindful, Sonny’s classes seek to bridge the gaps between the body, mind, and spirit with humor, style, and grace. Using a keen eye for detail, he teaches people not poses, so that ultimately students feel empowered, buoyant, and enlivened. For him, to live a richer more connected life is a worthy goal for each student. And to that end, he seeks many teachers in order to create a greater depth of knowledge, wisdom, and language to allow him to relate to his students. Always listening, reading, and studying how people move and relate to their surroundings and to themselves, he pours everything he learns back into his classes so the students may feel the delight in each moment. Trainings: Annie Carpenter, Richard Rosen, Tiffany Russo, Leslie Kazadi, Desi Bartlett, Leslie Kaminoff, David Regelin, Seane Corn, Kino Macgregor, Kathryn Budig, Briohni and Dice-Iida Klein, Phillip Askew. Certified SmartFLOW teacher, certified CorePower teacher, authorized MELT Hand and Foot Instructor, Real Ryder, Cycle24, Revoke Cycle, Reebok Cycle. A forever student of the practice, Christy fuels her classes with a passion to guide practitioners on a journey of discovery and inquiry. Her love of yoga has created the opportunity as a credentialed schoolteacher to bring yoga and mindfulness to high school students in Orange County. In her life as a former athlete, coach, and school administrator, Christy brings awareness to finding moments of pause while making authentic connections to self and others. She creates space and time for practitioners of all levels to learn, apply, and absorb the endless benefits of the yoga practice on and off the mat. As an avid traveling yogini, seeker of knowledge, and spiritual explorer, she has learned from multiple disciplines of yoga that are directly imbedded into her offerings as a teacher. Her classes offer edge, insight, and smiles to remind us all that life can’t be taken too seriously. In addition to her yoga guidance and offerings, Christy serves as a mindfulness coach, helping others find modalities of mindful awareness and meditation. By offering personal tools that can be implemented into functional daily living, she helps others connect with the powerful impact of stillness by unleashing unlimited potential of personal strength and awareness. Carrie Panattoni has always been very active, enjoying surfing, being in the water, running and hiking. Her attraction to Pilates began at 16 with a personal experience through which she realized the power and potential for healing through the promotion of a healthy lifestyle. At 18, Carrie earned her Power Pilates Certification which included 600 hours of apprenticeship and is also a Certified ACE Personal Instructor and Certified Balance Body Instructor. She has worked with a variety of doctors and physical therapists throughout her twenty years of studying and practicing Pilates to gain hands-on knowledge and insight which she uses in each class she leads. Her variety of clientele has helped her to learn the many benefits and variations that Pilates offers, all while staying true to original teaching of Joseph Pilates. Shannon, So Cal native and San Clemente local, is a classically-trained ballet dancer. She has been a fitness instructor & ballet teacher for over 16 years. She comes to Studio A as a barre and yoga teacher. Her barre classes are high energy, low impact and alignment based, moving to and connecting with the beat of the music. She takes the strength, grace and balance from her ballet training and brings it to both her barre and yoga classes. She loves teaching and the opportunity it provides for her to motivate and connect with her students and she encourages and fosters a sense of community within her classes. Shannon has two barre certifications and her 200-hour yoga teacher certification. In addition to being a barre and yoga instructor, she teaches ballet and indoor cycling. If she’s not in the studio you can find Shannon at the beach, in the sand or on a board.